Yes, I completed the 21 Day Raw Jumpstart and really enjoyed it, to my surprise. Unlike I initially thought it wasn’t full of limits, but instead it opened an entire new world of culinary delights. Any plans for going completely raw? No. Not at this time at least, but I am going to incorporate more primarily raw dishes like this one into my weekly menu, though this dish is technically not raw do to the chestnuts, tamari and spices. This dish is made an ready to eat in less than 20 minutes. The most time consuming part was prepping the lettuce, jalapeno’s and cilantro to go on the top. It’s super tasty and the non vegan eating had no idea it was walnuts and sunflower seeds. I love to be able to shock people in a good way! *You will need a food processor to make this. Put the S blade in the processor and add all ingredients from walnuts to Chinese 5 Spice. Turn it on and process until walnuts and sunflower seeds are crumbled and no longer look like walnuts or sunflower seeds. Do not process until a paste. 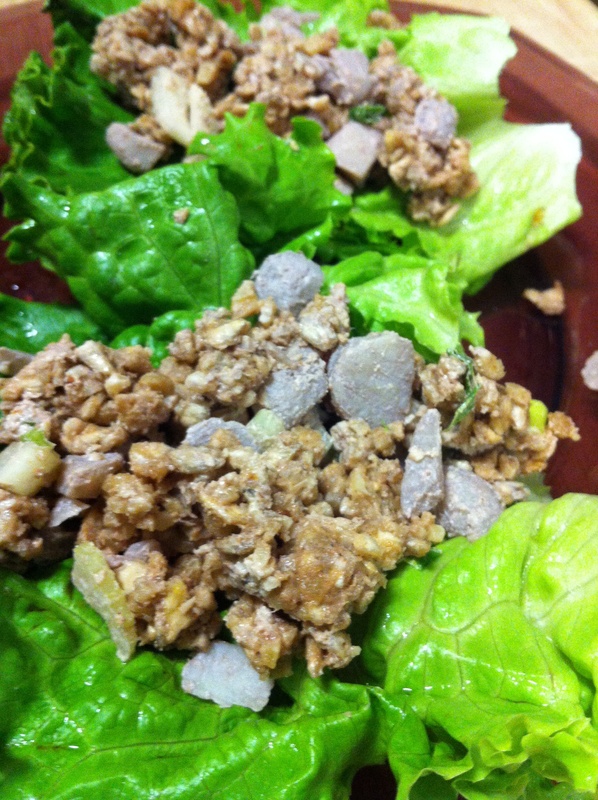 Put walnut mixture in a bowl and add chestnuts, celery and onion. 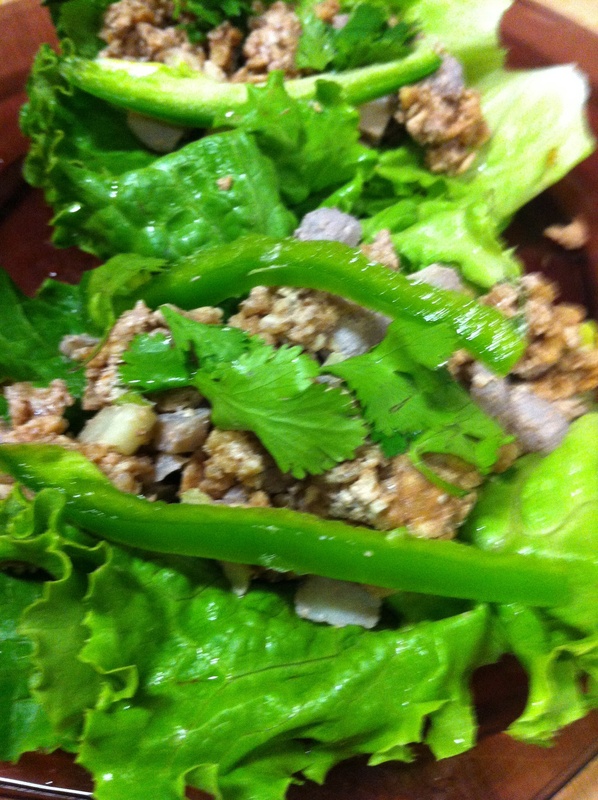 Scoop mixture into lettuce cups and top with jalapenos and cilantro. Enjoy. Have you seen our Kickstarter? If you are interested in helping us click here. Gallery | This entry was posted in Main Course. Bookmark the permalink. Wow thanks ton, this is healthy too and looks equally yummy.